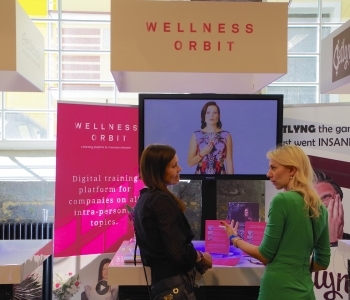 Wellness Orbit is pre-introduced at the demo area of start-up conference Latitude59 in May 31 and June 1 2016. Wellness Orbit will be a fully digital e-training platform that is predominantly developed to answer the need of entrepreneurs, companies and organizations, addressing people and the way they work. It is in the essence a mental wellness gym that is set up to train intrapersonal skills of employees, so that companies can solve the stress, burnout and disengagement related problems, open up employee's professional excellence and retain a workforce that is mentally healthy, agile and creative, harboring an overall growth-mindset. The planned launch time of the e-learning site is January 2017. Wellness Orbit will be programmed from ground up. Right now we focus on designing very pleasant and easy to follow learning process. It will feature FullHD training videos, self-evaluation tests and instant trainee feedback. The aim is to come up with truly unique world class mental wellness training environment for employers. The team behind Wellness Orbit has previous entrepreneurship experience and is striving to bring forward the new approach that Dr. Helena Lass has developed towards mental wellness. This approach is unique and based on scientific paper that Dr. Lass has started to work on (publishing of it can be expected early 2018). Latitude59 is the flagship tech event of Estonia that has grown into the largest international startup and venture capital gathering of the region with world-class speakers & inspiring discussions. 2016 Latitude59 will have 1500+ attendees from all over the world. Our team is happy that we have a potential to meet so many people who are interested in new and modern tech solutions. Please feel free to visit us and share the news that soon there will be a new and innovative e-learning environment that provides mental wellness focused workplace wellbeing programs. Today and tomorrow you can meet with Dr. Lass in person. Wellness Orbit e-trainings will be available for you and your employees 24/7 across the globe from next year!